Neptuno is located only a short distance from the Spanish city of Girona and it offers luxury camping for the entire family. It is always possible to learn more by consulting LUX-camp. Activities located within the site as well as nearby attractions. 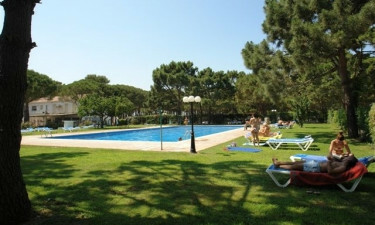 This luxury camping site is located near Girona within the Spanish province of Catalonia. So, visitors can expect to experience agreeable temperatures throughout the year. This equates to warm and sunny summers alongside cool winters with relatively little rainfall in relation to other regions of Europe. So, activities such as swimming and hiking are always possibilities regardless of when one arrives. This is perfect for a family that wishes to take a camping holiday while avoiding the throngs of tourists. Camping in luxury is never a concern when making reservations at Neptuno. There are numerous convenient features not to be missed. On-site activities such as tennis, table tennis, swimming and bicycle hire can all be found in close proximity to the mobile homes. However, other attractions, including sailing, diving and miniature golf, are found within only a few kilometres of the site. 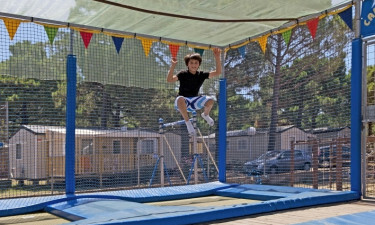 This makes Neptuno a luxury camping site suited for both the young and the old. To meet the needs of even the most demanding visitors, Neptuno has incorporated the latest technological innovations into this camping holiday. All facilities can be accessed by wheelchairs and there are 26 private washing cubicles. Baby changing centres, washing machines, wireless Internet capabilities and power supplies to each pitch are some other benefits to mention. This amazing holiday camping site provides all of its guests with the ability to dine out in peace and relaxation. 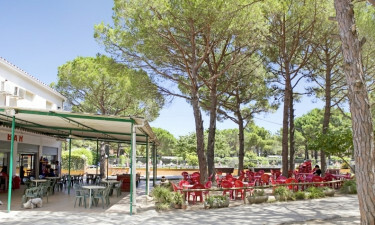 A bar-restaurant combination boasts hours of entertainment while serving up local dishes such as paella, fresh fish, pizza and many familiar international delicacies. A takeaway menu is provided for anyone who wishes to dine with their family in private. The bar itself offers a covered terrace for those days when the sun is high in the sky. Live music and children's entertainment are featured on a regular basis. Cocktails, imported beers and locally grown wines can be enjoyed as well. 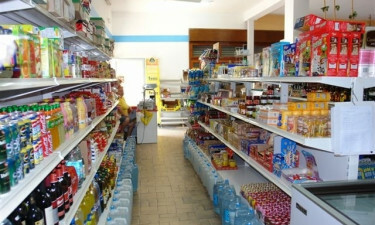 A large supermarket within Neptuno is open every year from June until September. Here, guests can find common produce items such as fresh fruits, vegetables, fish and bread. There is also a selection of board games, swimming gear and camping equipment to be found. Both Catalonian and international products are available, as is a selection of newspapers in different languages. This retail centre is conveniently located quite close to all mobile homes. Anyone who is interested in learning more about this luxury camping experience is encouraged to contact LUX-camp for additional information.